This book is designed to help the long course triathlete, (70.3 and full-Ironman), to better coach themselves based on their age, gender and goals. 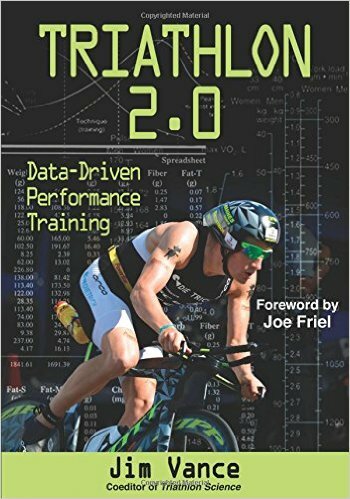 Coaches will find this book great for an approach on how to better coach long course triathletes, using tools like power meters, GPS and HR monitors. Triathlete, coach, researcher, and author Jim Vance maintains that, despite access to the relevant information, most triathletes start a race undertrained or overtrained. That’s why he’s developedTriathlon 2.0: Data-Driven Performance Training, the first program to take advantage of the latest science and technology.